There’s a new video game in development called Upsilon Circuit that has a few interesting things going for it. For one, a server specially selects eight—and only eight—players from an online queue to play. In other words, only eight people can ever play this game at time—everyone else gets to watch the players, and can reward characters they like with special health and power-ups. In other words, if you’re playing this game, you’re being judged by thousands or maybe millions of strangers. But the most interesting concept might be the fact that, unlike just about every other video game, dying in this game has real weight to it. If you die, you never get to play again. Ever. Once you’re done, someone else in the queue takes over the character and you’re out for good. Last year’s Tom Cruise epic Edge of Tomorrow had a lot of fun playing with the video game mentality of infinite lives, pointing out just how low the stakes are when death is just a momentary setback. 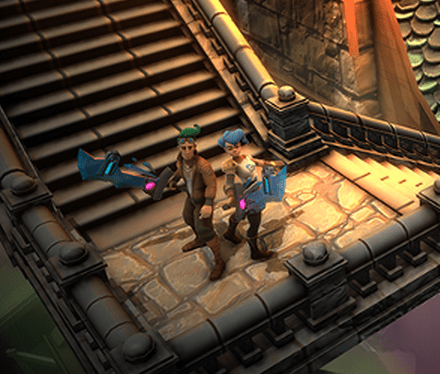 Upsilon Circuit asks you to take the game—and how you play it—very seriously.